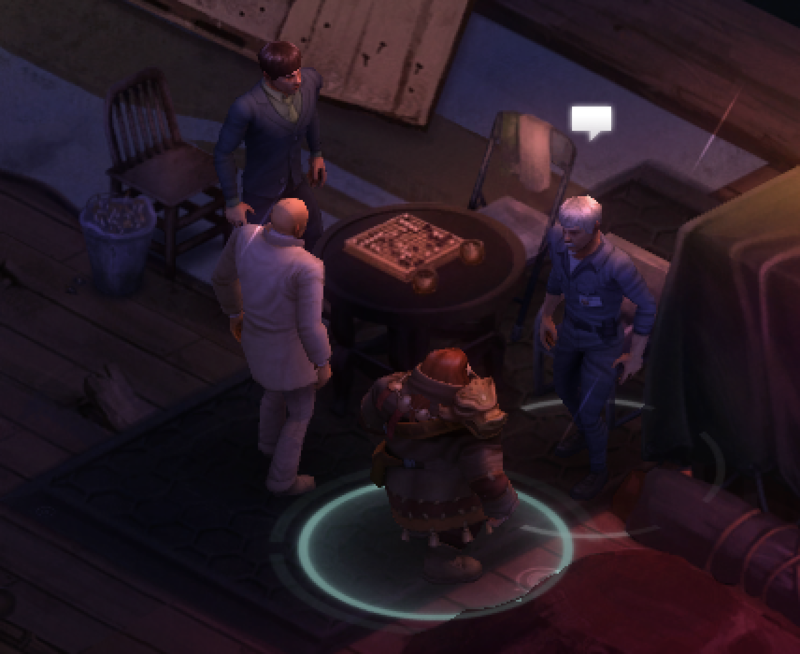 The 2015 computer game “Shadowrun: Hong Kong” features go, reports Eric Rasmussen. In one scene, a handful of non- player characters sit around a go game in progress. The player can speak with them, but, unfortunately, cannot join in their fun. “Shadowrun: Hong Kong” is one of the latest games exploring the cyberpunk world of Shadowrun, a fantasy role playing game that started in the 1980s with a tabletop RPG ruleset. The series depicts a near-future version of Earth in which corrupt corporations have led a world full of sprawling metropolises into a gritty, dangerous, hi-tech age. However, unlike many cyberpunk adventures, this world also includes magic and fantasy creatures like Elves and Orcs, alongside the high tech weaponry and hacking-oriented futuristic themes. The turn-based role playing game is available on Windows, Macintosh, and Linux operating systems.